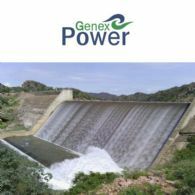 Genex Power Limited (ASX:GNX) is a power generation development company listed on the ASX. The Company is focused on innovative clean energy generation and electricity storage solutions which deliver attractive commercial returns for shareholders. Following Financial Close of the first phase 50MW Kidston Solar Project (KSP1), the Company’s focus is now on the development of its Stage 2 Projects comprising a 250MW Pumped Storage Hydro Project (PSHP) and the integrated 270MW Kidston Solar Project (KSP2) located at Genex’s Kidston Renewable Energy-Hub in Northern Queensland. 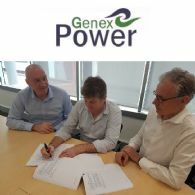 Genex Power Limited (ASX:GNX) is pleased to announce that it has entered into a binding connection agreement with Essential Energy, responsible for one of Australia&apos;s largest electricity distribution networks, for the 50MW Jemalong Solar Project in New South Wales. Genex Power Ltd (ASX:GNX) has had the privilege to be a part of the newest media case study from the Climate Council, a non-profit organisation focused on providing independent, authoritative climate change information to the Australian Public. 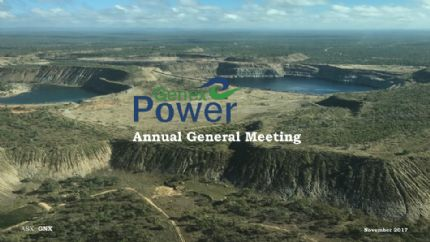 Genex Power Limited (ASX:GNX) is pleased to provide an update in relation to the development of the Kidston Renewable Energy Hub in North Queensland. 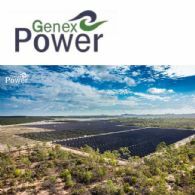 Genex Power Limited (ASX:GNX) is pleased to provide an update in relation to the development of the 270MW Kidston Stage 2 Solar project at Kidston, North Queensland. The K2-Solar project is part of the overall Kidston Stage 2 project, which includes a co-located 250MW hydro pumped storage project. 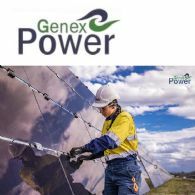 Genex Power Limited (ASX:GNX) is pleased to announce that, following successful transformer energisation of the Kidston Solar Stage 1 Project, Genex has now generated its first revenue from KS1. 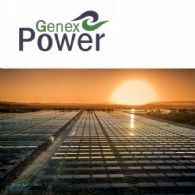 Genex Power Limited (ASX:GNX) is pleased to announce that it has successfully achieved solar substation energisation of the Kidston Stage 1 Solar Project. Energisation is a major construction milestone and also represents a significant event in the development of the Company. 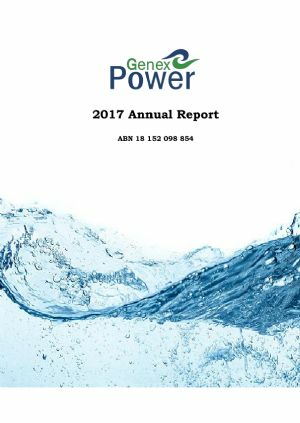 Genex Power Ltd (ASX:GNX) provides the Managing Director&apos;s Address and Presentation at 2017 Annual General Meeting. 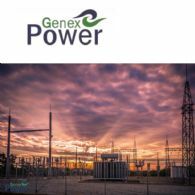 Genex Power Limited (ASX:GNX) is pleased to announce that it has secured further Federal Government funding of up to $5.0 million via a funding agreement with the Australian Renewable Energy Agency for the Kidston Stage 2 Project at Kidston, North Queensland. The K2 Project comprises the 250MW Kidston Pumped Storage Hydro Project, and the co-located 270MW solar PV Project. 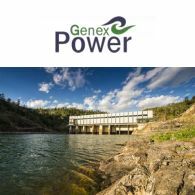 Genex Power Limited (ASX:GNX) is pleased to provide an update in relation to the development of the 250MW Kidston Pumped Storage Hydro project at Kidston, North Queensland. The K2-Hydro project is part of the overall Kidston Stage 2 project, which includes a co-located 270MW solar PV project. 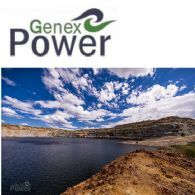 Genex Power Limited (ASX:GNX) is pleased to provide an update in relation to the 250MW Kidston Stage 2 Pumped Storage Hydro project at Kidston, North Queensland. The K2-Hydro project is part of the overall Kidston Stage 2 project, which includes a co-located 270MW solar PV project.